A dark and gloomy, non-insulated dwelling with zero views to speak of has been dramatically transformed into a bright and sustainable home thanks to the work of local architecture studio Urban Creative. Flanked by 6-meter-tall walls and set on a long and narrow lot in inner Melbourne, 2 Halves Make a Home is a three-bedroom family residence that comprises two structures centered on a light-filled courtyard that allows daylight to penetrate deep into the living areas. Bricks sourced from the original decrepit structure were recycled for the construction of the new home, which features repurposed and sustainable materials throughout, from low-VOC finishes to a solar photovoltaic system and green wall. Faced with a site only 5.5 meters in width, the architects knew that access to the outdoors and light were crucial to making the family residence feel comfortably spacious. To that end, a courtyard was inserted along with walls of operable double-pane glass that blur the line between indoors and out. In addition to allowing natural light to enter the home, the courtyard also promotes passive cross ventilation while the full-height glazing and adjacent masonry party walls help capture early morning solar gain for passive heating in winter. 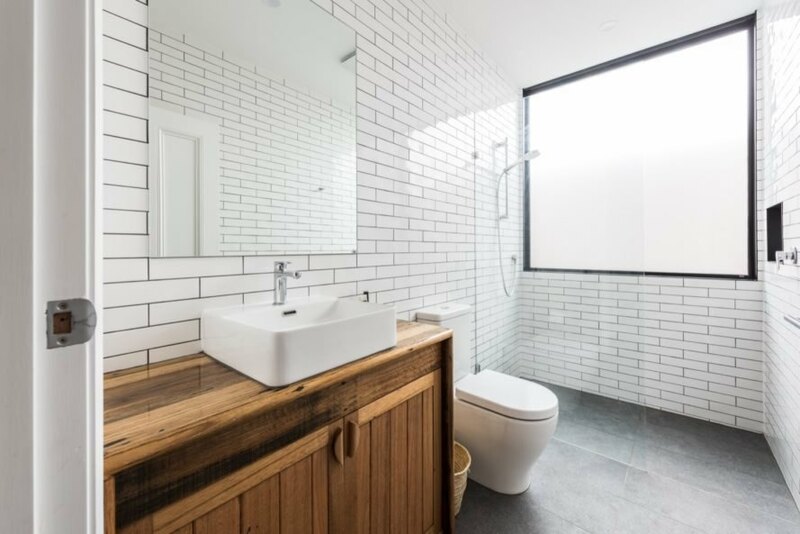 Aside from the renovated brick wall and reclaimed brick used for the ground-floor facade, other recycled materials were used wherever possible. 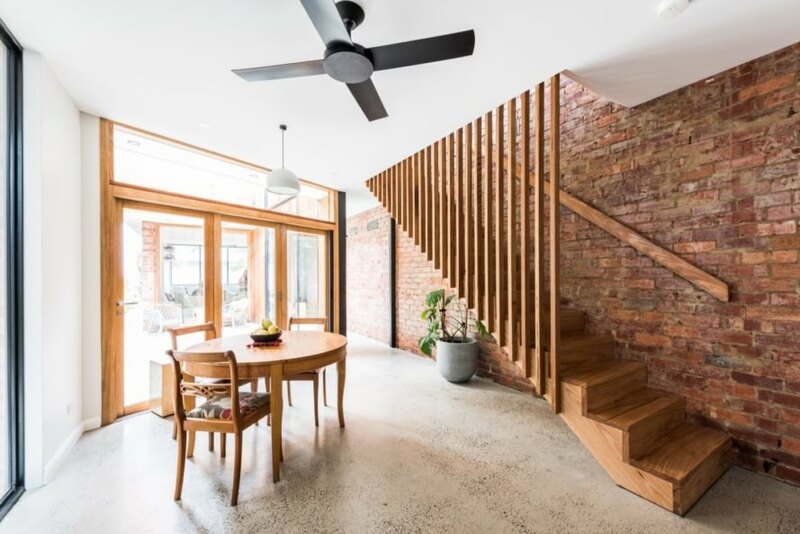 Reclaimed timber was used from the stairs and floorboards to the repurposed internal solid timber doors and timber shelves in the living room. Instead of replacing the ground floor structural slab, the architects polished the concrete and added a hydronic heating system. Low-VOC materials and finishes, like Tadelakt — a Moroccan rendering technique based on lime plaster and olive oil soap — promote a healthy indoor living environment. The house is also equipped with a solar array and a rainwater harvesting system. 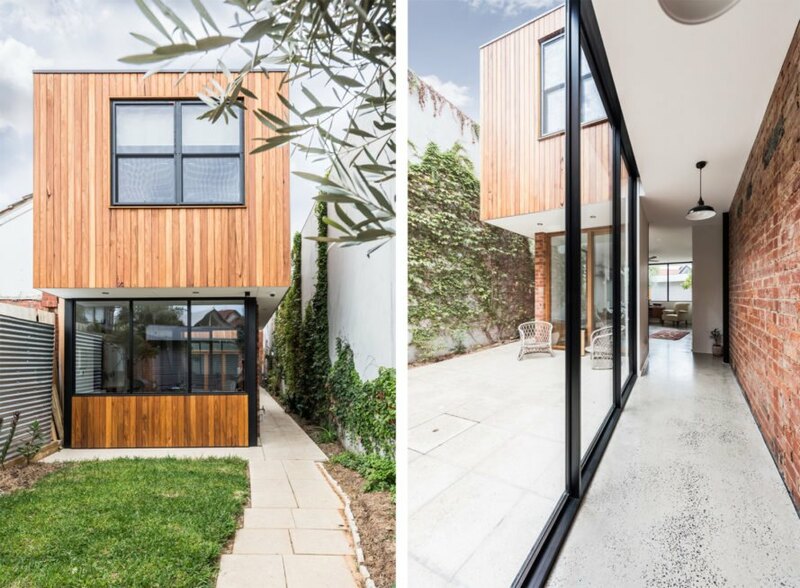 Urban Creative transformed a dreary house into this bright, modern home in Melbourne. 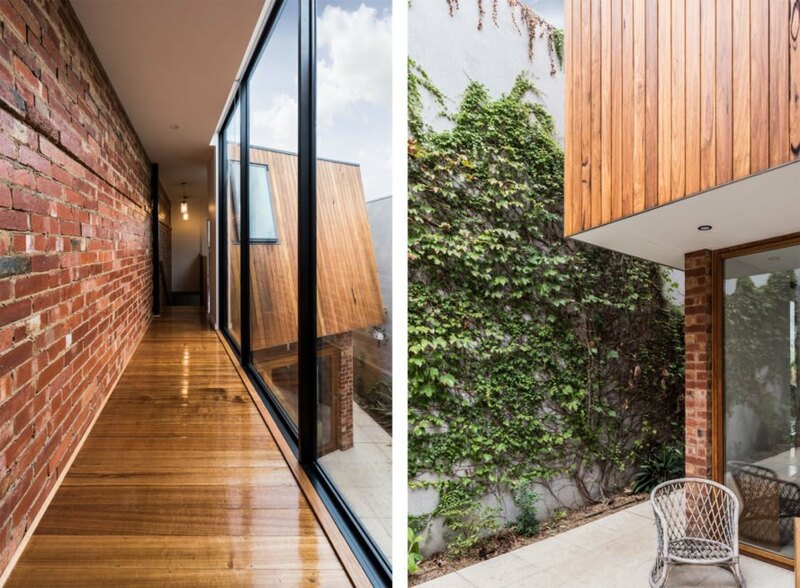 The home is crafted from reclaimed materials like timber and brick. 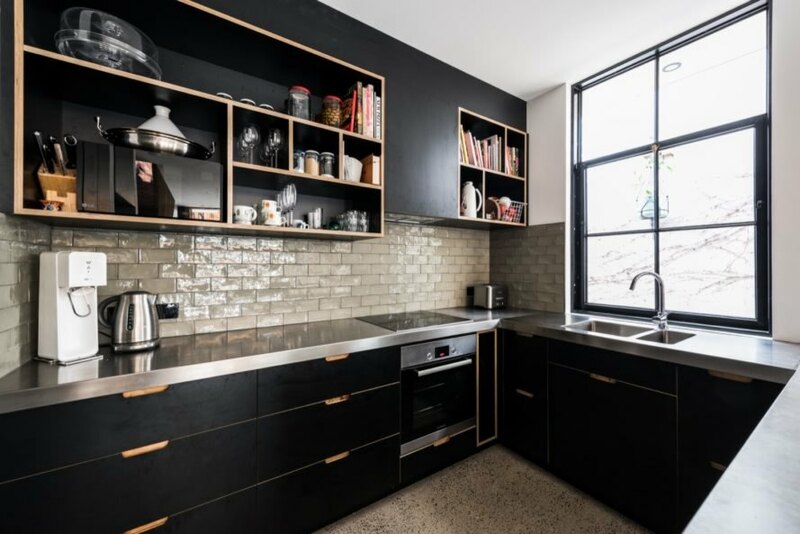 The modern kitchen welcomes the residents in to cook and dine. To promote healthy living, low-VOC materials were used throughout. The bricks prominent in the new home are recycled from the former abode. The home also features reclaimed timber. Every room in the home benefits from natural light. A solar system and living green wall round out the sustainable characteristics of the house.